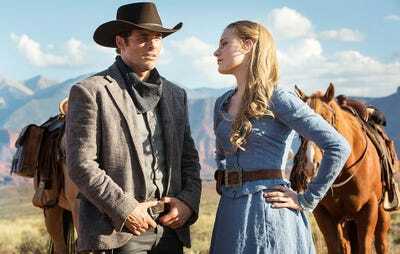 What do HBO’s ‘Westworld’ and Steven Spielberg’s ‘Ready Player One’ have in common? More than just their sci-fi themes. HBO’s reality-meets-fantasy physical recreation of the sci-fi town of “Sweetwater” in Westworldand Warner Bros.’ two-story rendition of the virtual world of “Oasis” from “Ready Player One” are not only the biggest breakout hits at the South by Southwest Interactive conference this year, but they were both created by the same company. That company is the ad agency Giant Spoon. To read more about how the five-year-old shop has become a go-to for elaborate real world marketing experiences, click here. Shane Smith is officially out as CEO of Vice Media.Longtime A+E Networks CEO Nancy Dubuc will take the reigns at the edgy media company, with Smith becoming executive chairman. Amazon could make billions of dollars by utilising an ‘advertiser’s dream of data.’ Jefferies says the e-commerce giant could build a $US22 billion ad business by 2022. How to use Texture, the beautiful ‘Netflix for magazines’ app Apple just bought. People can download and read full print-like articles within the product. A marketing agency built a business by putting brands and musicians together for projects like custom vinyl and concerts – and it’s hosting over 100 bands at SXSW. The company Collide has forged strong ties with the music industry, which appears to be paying off. Facebook is planning to roll out news content for its fledgling video hub Watch this summer, reports Axios. The move is something of an about face for the social network, which has recently looked to veer away from news.